The shank shot is perhaps one of the most destructive and frustrating shots in golf. 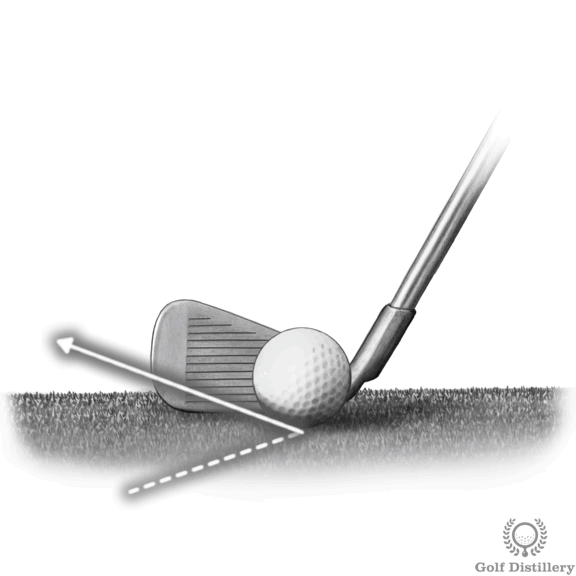 A shank occurs when the ball is hit out of the heel or the hosel of the golf club. 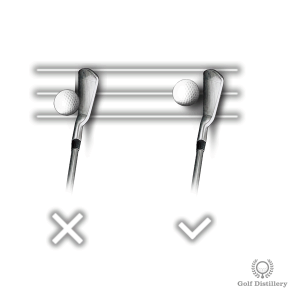 The ball tends to fly out sharply to the right (for the right-handed golfer) and also quite low. Because it flies quite low, a shank shot can also travel a fair distance – usually into the right hand rough or an adjacent fairway. 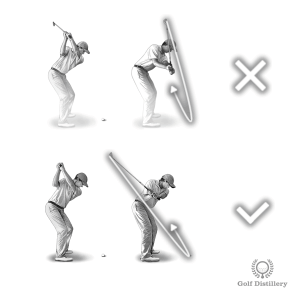 In this area of the site, we’ll look at what causes shanked golf shots, as well as some great drills for eradicating shanks from your game completely. 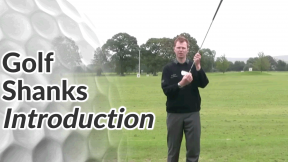 What Causes The Golf Shank Shot? 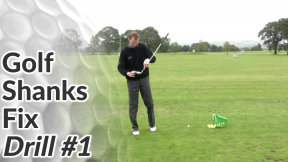 The short video below covers the common causes of shank shots. 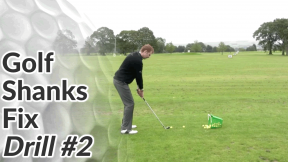 Or you can skip beneath the video and head straight to some drills for curing golf shank shots. 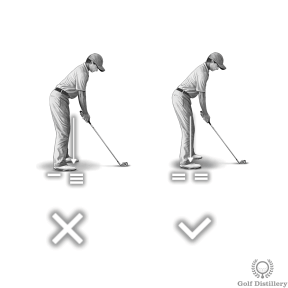 Setting up too close to the golf ball will increase the chances of a shank shot. Double check that you’re the correct distance away from the ball – the end of the club should rest about an inch above your knee cap (click here for a full explanation). If you’re body weight is too much on either your heels or toes it will increase the likelihood of a shank. So keep yourself balanced – your bodyweight should be 50/50 left and right and 50/50 front and back. Probably the major cause of the shank shot is similar to what causes a slice – the golf club comes over the top or from outside the line of the golf ball. 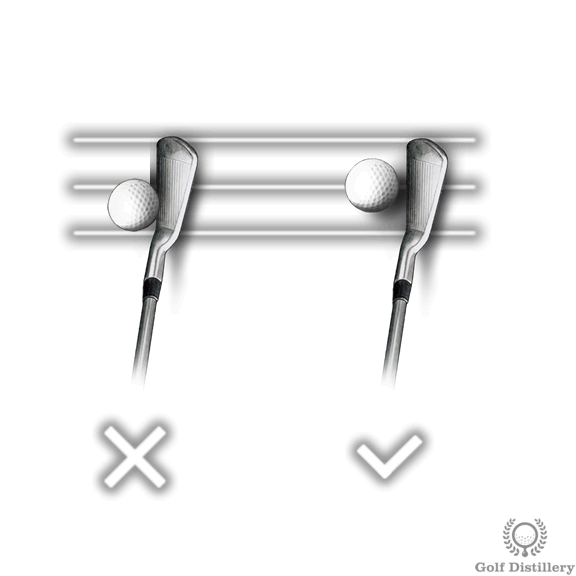 When this happens the club face chops across the ball and actually delivers the heel into the ball first. See the anti-slice section for more details.